The solutions and products based on artificial intelligence have varied in recent times, including text and voice chat programs, speech recognition, natural language processing, voice aids, face recognition techniques, automation of tasks and administrative processes, and many other functions, On the use of tools and solutions artificial intelligence, which helps them to compete in the market. Conversational AI programs help companies use chatbots, messaging applications, and digital assistants to provide widely automated personal conversations. The great power of these interfaces is their ability to keep conversations and discussions like people on the clock without interruption, regardless of whether you’re looking for gift recommendations, places to eat, or attempts to solve a problem with the product you bought late, Artificial intelligence-based talking platforms help you do just about everything. 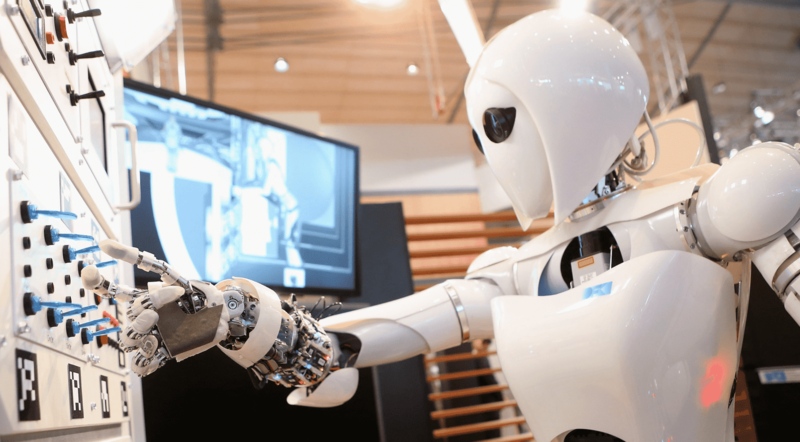 In 2019, artificial intelligence technologies will gradually evolve to have a significant impact on both our business and individual lives, helping customers make purchasing decisions faster. It is expected that in 2019, artificial intelligence platforms will evolve and become more prevalent with Expect advanced computer interfaces gradually for many years to come. Messaging applications such as WhatsApp, Facebook Messenger, Telegram and many more have grown significantly in the past two years. This growth will grow as the number of messaging users will reach 2.48 billion by 2021. Most of these applications allow organizations and companies to build interactive chatbots on their platforms, as well as independent chatbots on the website or phone application. Accordingly, brands will have the opportunity to communicate with their customers through these messaging applications during the purchase journey. Watsab has been proactive in business by launching the Whatsapp Business platform that allows businesses to interact with customers easily and professionally with the tools they provide. According to some research conducted by Alpine.ai – currently acquired by Headspace – about 1 billion voice searches are conducted monthly as of January 2018. It is a striking fact that about 50% of all searches will be Voice searches by 2020, and the number of voice aids increased significantly last year. More than 43 million Americans now have digital assistants such as Amazon Alexa or Google Home, and these devices are currently used for news and weather updates, music playback, lighting controls, ordering food, listening to audio books But not limited to. In the same context, voice calls based on artificial intelligence can help users find daily deals, recommended products, identify restaurants, shops, events, etc., and their popularity will continue to rise during 2019, giving marketers great opportunities to take advantage of it . Corporations and companies have begun to rely on Chatbots interactive chat robots to improve the efficiency of customer service departments. This is one of the basic applications of artificial intelligence based conversations because of their distinctive abilities in automated learning. Chatbots will continue to evolve through 2019. Interactive chat robots can also help brands deliver a comprehensive conversation experience where conversations can be fully tailored based on potential communications situations, and Chatbots will become more specialized, reducing the complexity of the task they need to deal with. With the development of artificial intelligence, marketers will be able to understand the context of the conversation, analyze customer interactions, user location, preferences, demographic data and transaction data, and use them all to enhance the organization’s marketing activities. According to Audelia Boker, vice president of marketing for Glassbox Digital, “Interactive conversations will continue to evolve to enable customers to communicate with companies through chat platforms or voice conversations, and voice commands will play a greater role in how customers communicate with service providers And electronic sales centers.